When most people think of yachts, the first things that come to mind are a life of luxury, beautiful scenery and leisurely sailing around the world. What they might not know is that “under the hood”, these beautiful boats are actually very complex feats of engineering with very complex electrical systems. To understand just how complex the engineering onboard a mega yacht can be, one need look no further than at a yacht’s electrical systems. When compared to most recreational boats, a yacht is more like a floating mansion than a casual cruiser, and as a result, the electrical systems become more complex and more intertwined. Keep reading to learn why this is important, the various ways electrical power is used on a yacht and even some issues that can come up in yacht electrical systems. Each and every yacht on the water will rely on a number of electrical systems, most of which are necessary and some of which are optional and add to the quality of life on board. Here are a few of the most common electrical systems you’d find on a yacht. To start, every yacht should be equipped with a working alarm system. Alarm systems warn of potential fires onboard, leaks, smoke, rising water and a number of other potential dangers. For example, if your boat is taking on water an alarm system would be able to identify that problem as soon as it starts. Without an alarm system, by the time you realize your yacht is taking on water, it may be too late. Alarm systems can also be used for weather alerts and collision warnings to assist in navigating. Every yacht should also be equipped with a power management system. Power management systems help make sure that all the of the different electrical systems on the yacht are taken care of while not overburdening the power generator. This ensures that systems like your alarms will not be compromised if another system is malfunctioning and begins to draw too much power. Finally, many yachts will have general consumer electrical systems that improve the quality of life on the ship. For example, many yachts will have impressive entertainment systems including satellite television, stereo systems, Bluetooth connectivity, video games and more. Yachts will also typically feature water purification systems as they help recycle onboard fresh water or even desalinate ocean water for human consumption and use. Of course, there are many more types of electrical systems that can be found on board of a yacht, if you’re interested in learning more about the types of electrical systems we have installed on yachts, contact one of our experienced marine engineers today. Due to the luxurious amenities and onboard lifestyle, sometimes it’s easy to forget that a yacht is a boat and not a house, and yacht owners may become lax on maintaining the yacht. However, yachts are still boats, and as they are more often than not floating in salt water and exposed to the elements, it’s important to maintain a regular maintenance and inspection schedule. Saltwater and salty air can be very corrosive, especially to wires and electrical connections. It’s important to regularly inspect for any exposed, corroded or otherwise damaged wires on a regular basis as this can lead to fires, system failures or other catastrophic situations. As a best practice, it’s important that you involve a trained marine electrician or marine engineer to perform audits and inspections on a regular interval. However, if you are a yacht owner who likes to perform their own maintenance, it’s still a good idea to work with a marine electrician on the initial audit as a good baseline. 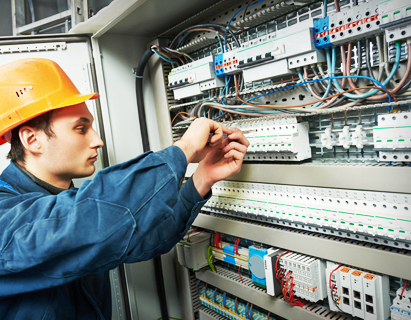 In addition, regular maintenance to your electrical system will help keep your insurance bills down. Insurance companies will hire an independent marine surveyor to do regular surveys of your yacht to make sure it is still insurable. These surveys look for things like improperly used materials, “jury-rigged” electrical work as well as unsafe conditions. These situations will typically arise when a yacht owner tries to save a little money by using an amateur electrician or someone who is inexperienced with marine electrical work. Regularly inspecting and maintaining your onboard electrical systems is one of the best ways to make sure you are safe when out on the water, your insurance premiums will stay down, and that your yacht will continue to run for years. While many electrical systems on a yacht may be similar to ones you can find in a home or on land, this does not mean that they can be installed the same way or use the same materials when installed on a yacht. When doing electrical work on a yacht, it’s essential to only use materials and equipment rated specifically for marine applications. If you are ever unsure if a product is marine-grade, Underwriter’s Laboratories, often listed as UL, provides detailed information and strict standards on what qualifies as marine-grade. Here are a few of the biggest things to look out for when doing marine electrical work. First, do not use standard or common electrical equipment, wire, or wiring devices. For example, wiring or cable that is not marine grade can become corroded far more easily leading to shortages. Also, make sure your yacht uses marine-grade fuses and never exceeds 80% of it’s rated amperage. In addition, insulation and grounding issues can also result in fires and electrocutions. Federal regulations mandate that any electrical devices to be used in bilges or engine compartments have to be ‘ignition protected’ so they don’t create the sparks leading to fires or explosions. Using improper wires, cables, or other materials that are not marine grade. 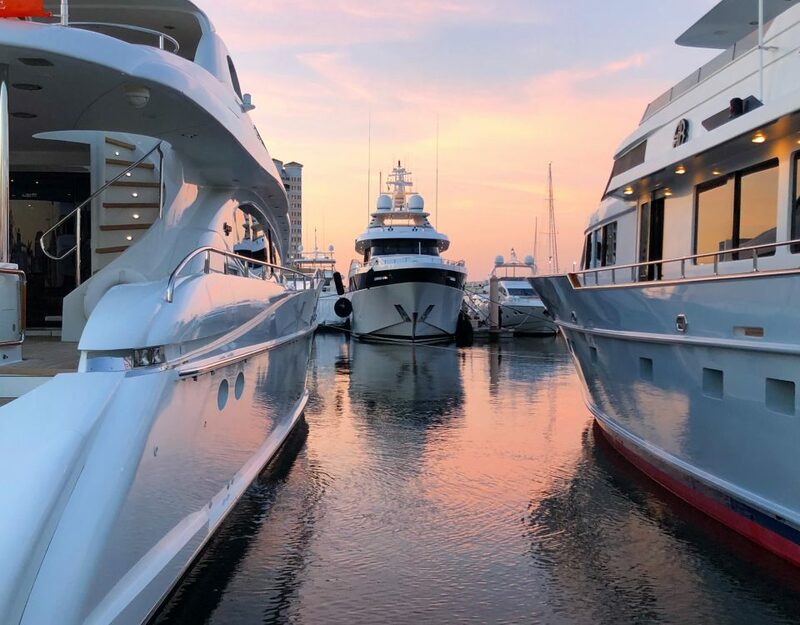 If you own a yacht or mega-yacht or are thinking of buying one, you should absolutely have an experienced marine electrician on your speed dial. Between regular maintenance and inspections, upgrades, repairs, and the general day-to-day, your boats marine electrician will be just as important to the continued safe use of your yacht as the captain is. If you’re interested in learning more about what our team of talented marine electricians and marine engineers can do for your vessel, contact us today.